All vehicles after the age of three years old are required by law to have an annual MOT test. This must be carried out at an authorised test facility that is relevant for that particular class of vehicle you are looking to have tested. The majority of standard family cars and light commercial vehicles will require a class IV MOT, below we have provided the information you need to determine which class of vehicle yours is. Here at PDL we offer class IV MOT testing for just £30.00. 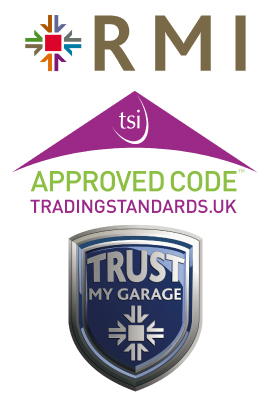 It is worth while noting that whilst carrying out an MOT test, the tester is looking for absolute minimum standard before a failure can be judged, this often means that customers get the pleasant surprise of a pass certificate, when they genuinely fear the worst. We have two MOT testers available on site who are both trained fully up to date with all MOT modernisation and scheme expectations and as part of our friendly service, these guys are available for advice whenever it is needed. Along with a trustworthy MOT test, our customers will automatically be placed onto our MOT testing text reminder service, which means that around one month before your next MOT test is due, the mobile phone number stored on our systems will receive a reminder message, ensuring you do not get caught in that awkward and sometimes stressful position of missing your expiry date. We strongly believe in delivering a personal service to our customers and as such we are more than happy to carry out MOT test either whilst you wait or you are welcome to leave your vehicles with us. Either way or whatever the outcome, our mechanics and MOT staff, are always on hand to talk you through any failure items or advisory notices that may be cause for immediate or indeed future concern. Class II — All motor bicycles (including Class I) (with or without side cars). Class III — Three-wheeled vehicles not more than 450 kg unladen weight (excluding motor bicycles with side cars). Class IV MOT Test — Cars, including three-wheeled vehicles more than 450 kg unladen weight, taxis, minibuses and ambulances up to 12 passenger seats, Goods Vehicles not exceeding 3,000 kg Design Gross Weight (DGW), motor caravans and Dual Purpose Vehicles. Class VII — Goods vehicles over 3,000 kg up to and including 3,500 kg DGW. If a vehicle is presented with a manufacturer’s plate and a ‘Ministry plate’ the weights to be used are those on the ‘Ministry plate’. PSV test (Class VI) — Public service vehicles used for hire or reward with more than eight passenger seats (test conducted by DVSA/DVA staff their own stations, or at DVSA authorised testing facilities (ATF) or designated premises (DP)). HGV test — Goods vehicles over 3,500 kg GVW and trailers over 1,020 kg unladen weight or 3,500 kg GVW if fitted with overrun brakes (test conducted by DVSA/DVA staff their own stations, or at a DVSA authorised testing facility (ATF) or designated premises (DP)).